TOPIC: THE REJECTED ARE HIS DANCING PAD! Always remember Israel (rejected by the world), Jephthah (rejected by his brethren), Moses (rejected by his people for 40 years) and the LORD Himself (rejected and crucified by His own creation)! They were all rejected before they became divine rejoicing centers! Hold on! You are the next to REJOICE! Get and give out this ODM Booklet as a SPECIAL GIFT item! 1. Pray about today’s word as led now. Our Daily Manna Devotional 11 August 2018 By Dr Chris – TOPIC: THE REJECTED ARE HIS DANCING PAD! 2. Lord God, I LOOK UP to You ALONE! I reject the OPINIONS of others concerning me! 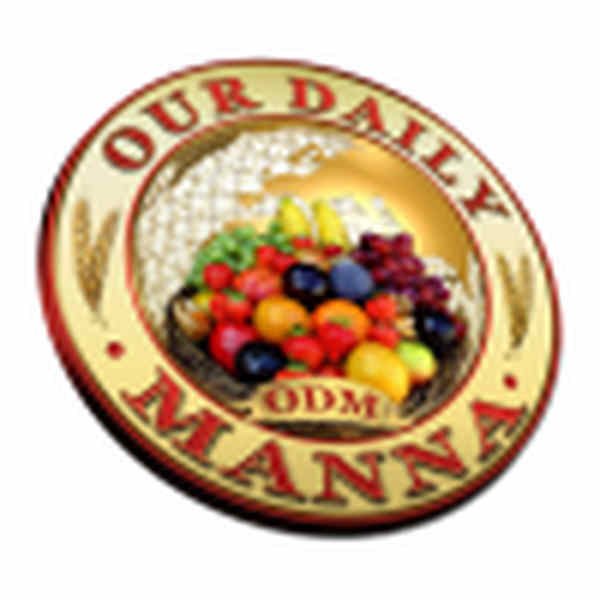 Our Daily Manna Devotional 11 August 2018 By Dr Chris – TOPIC: THE REJECTED ARE HIS DANCING PAD! 3. CANCELANY WRONG WORD SPOKEN AGAINST YOU in the past! 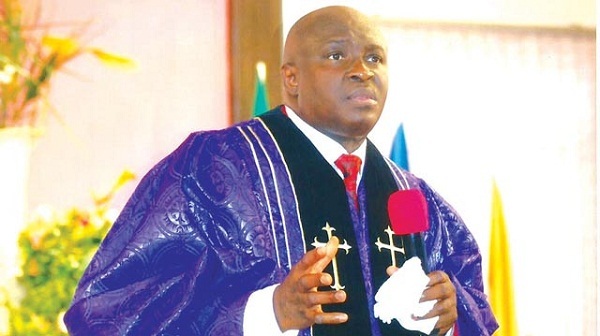 Our Daily Manna Devotional 11 August 2018 By Dr Chris – TOPIC: THE REJECTED ARE HIS DANCING PAD! 4. LORD GOD, You are in my midst and You are MIGHTY. Do a thing that will confirm Your MIGHTINESS. Make my family and I, Your CONFIRMATION and REJOICING CENTERS in Jesus name (Pray it very well). 5. Pray about today seriously as led now. Our Daily Manna Devotional 11 August 2018 By Dr Chris – TOPIC: THE REJECTED ARE HIS DANCING PAD! 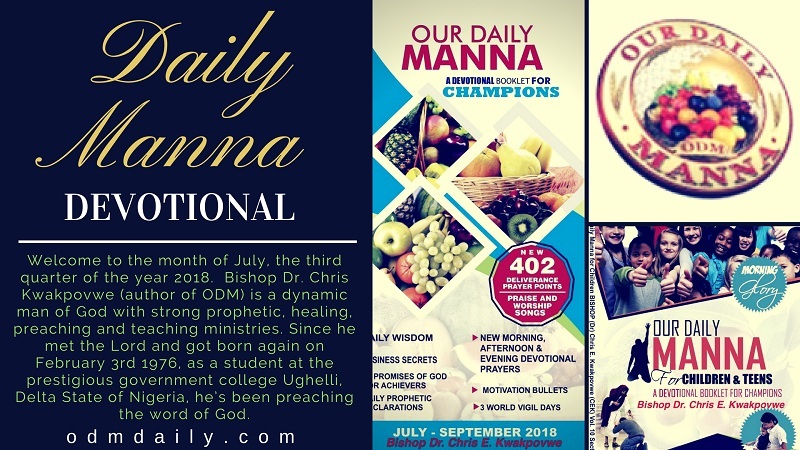 Previous Post:Daily Manna Devotional 10 August 2018 – TOPIC: TOPIC: LORD, LET THEM SEE MY GLORY! Next Post:Our Daily Manna Today For Champions 12 August 2018 – TOPIC: RIVER JORDAN: MY HEAVEN MUST OPEN!